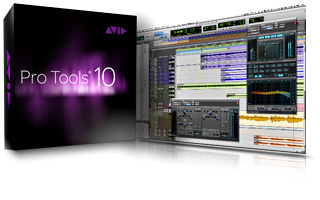 Pro Tools 10 has many new features. One exciting new one is the ability to bring in any file format to a session without having to convert it. There are also a few new plug-ins it comes with including the Avid Channel Strip Plug-In. With this plug-in, you get the famous channel strip of the Avid System 5, one of the most sought-after consoles used to create some of the greatest mixes ever produced. Speed up editing and mixing with Clip Gain, and easily adjust and match gain levels. Get access to over 500 additional Pro Tools commands when using EUCON controllers. Work more easily with AudioSuite-rendered clips with reverse processing, handles, and more.